This is one Nektan brand that does not have the Nektan look. For those that believe that nothing good can come out of Nektan, Planet Fruity Casino is a complete game changer. It is a brand new platform with a difference. Not just in the website design alone. Planet fruity Casino takes an entirely different approach to business. The landing page is quite packed with loads of activities. This is to tell you that Planet Fruity Casino is an entirely different planet of thrills and fun on its own. What’s more captivating is that Planet Fruity Casino has other games. Yes! I bet you are expecting just one type of fruit. Fortunately, it’s a planet of fruits. That means that Planet Fruity Casino has a galaxy of games. Let’s take a closer look and see what these new guys have to offer. Looking forward to enjoying some fruity experience? They’ve got fruits, but you’ve got to register to enjoy these benefits. Once you’ve shown that little commitment, it is payback time. Planet Fruity Casino has more than enough to go round. This is why they star by offering you an appetiser. You will receive $5 no deposit bonus from Planet Fruity Casino. When you now deposit a minimum of $10 three times, and you will get rewarded three times. Altogether, you will receive 400% bonus on your first three deposits. I bet you are already doing some mathematical calculations in your head already. Hold on! It doesn’t work that way. When you make your first deposit, you will only receive a maximum amount of $50. Well, it gets better with the second and third. I almost forgot to mention that for each stage, you get to enjoy as much as 150FS. Planet Fruity always have competitive offers with a combination of low wagering and a decent amount of matching bonus. Find the latest offers in the listing above or at our main page. Before you get too excited, the T & C is not as rosy as the offer. Among others that you should check out, you only get to enjoy this promotion on your first day at Planet Fruity Casino. 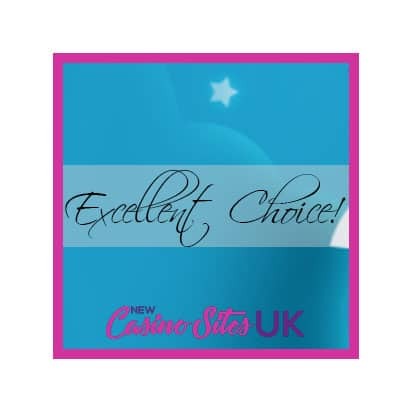 Are you looking for a No Deposit Bonus Casinos? Find them HERE. This is another area where Planet Fruity Casino has done very well. If you want slots, they’ve got a slot in abundance. Planet fruity casino has a galaxy of games of different categories. I bet you want to find out if they have the live dealer section. Shockingly, they do. So, if you are looking forward to playing at home even while you are just on your mobile or PC, their live dealer section will do justice to that. The collection of table games at Planet Fruity casino is nothing like you’ve ever experienced on any Nektan affiliated platform. Planet Fruity Casino has more than 20 variants of blackjack. Looking to play your favourite roulette games as well? Planet Fruity casino has about ten options just for you. They do not want you to get bored eating only one type of fruit. Planet Fruity Casino offers you plenty banking options. The goal is to ensure that all your transactions are secured, safe and fast. Therefore, they have incorporated only the best. For example, they are one of the few platforms that have PayPal. If you have used PayPal before now, you’d understand they handle transactions very fast. Additionally, they’ve got other options just in case you cannot use PayPal. You can also choose from the likes of Skrill, MasterCard, Boku, and others. Although, only as their name differs, so do their services. There is the saying that the only person that gets to read the T&C is the one who wrote it. Well, that’s true in most cases. However, since there is a lot at stake here, you need to try and change that perception. The T&C section at Planet Fruity Casino is quite bulky. It is divided into categories, and each is quite important. As regards payment, you should know that there are things you must do to avoid payment delays or challenges. Not unless you wish to close your account, you cannot withdraw less than $20. Before the withdrawal, you might have to verify your account. In some cases, you might have to provide such documents as Passport or any valid ID. Do not forget the wagering requirements on the bonus and promotions as well. It can turn out to cause you some challenges. I am impressed with Planet Fruity Casino. It has been a very fruity experience on this planet of variety. With only a few things to improve on, this is a great place to have fun. For once, I am impressed with a Nektan brand. If I am, I am pretty sure you would too.